There are numerous student support resources available to assist in your success as a UW Bothell student. Sometimes, navigation of these services can be difficult and overwhelming, this page is a "one-stop shop" for all of the resources available to you as a student. Find out how and what majors are available here at UW Bothell. Navigating the many programs offered, admissions requirements, and mandatory advising can be overwhelming -- don't let it be! This page will help guide you in exploring what majors are available and what the program requirements are for admission into the program. Do you have a research paper? Are you finding that some of the problems in your algebra class are more problematic than they should be? The Library, Qualitative Skills Center and Writing and Communications Center are here to help! They provide resources that can help in all of your classes by providing 1 on 1 tutoring, peer advising, and can connect you to sources that will enhance that mega research paper you have due! College is expensive. But...there are options out there for you to help pay that monster tuition bill. Grants, Scholarships, Work Study, and other types of financial aid are available to help you fund your education. This is the place to connect you to the resources available in financing. Also, it is important to learn how to budget your money--check out the money matters site for more information on how to maintain a strong budget that will help you be financially sound. Interested in getting involved in a student club or organization? Do you want to become a civic leader, building your leadership skills and strengthening your resume? Or do you want to do a study abroad and explore a different country for academic credit? Employers are looking for students that participate in these co-curricular activities (basically everything outside of the classroom) as they are a great complement to the studying and learning you receive in class. Getting involved is also a great way to make your time in college one to remember by building relationships, getting connected and exploring opportunities you didn't even know existed! What is the time schedule? How do I request official transcripts? Here you will find important links regarding available UW Bothell courses, when they are available, and forms that you may need for verifying your enrollment. 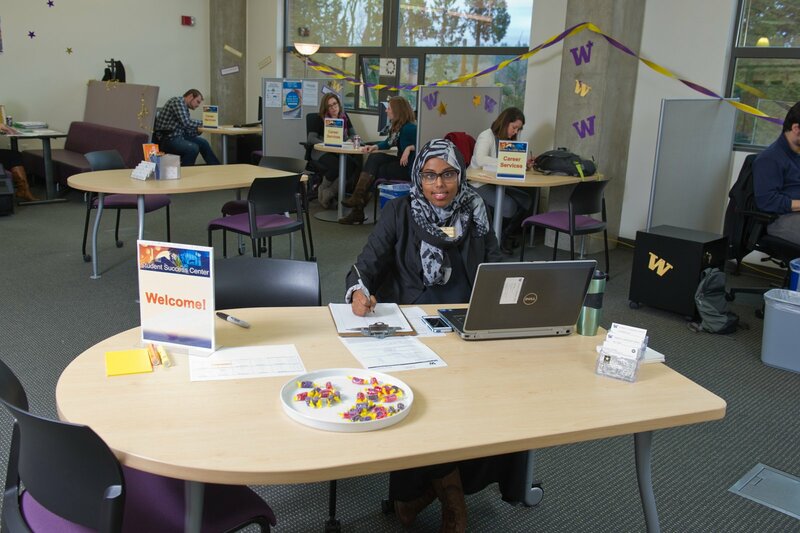 Student Services are here to provide support as you go throughout your academics here at UW Bothell. Student Services includes Career Services, Counseling, Disability Resources for Students, Merit Scholarships and Veterans Services. In Student Services we help you manage stress, provide accommodations, offer success and retention strategies as well as career guidance throughout your time on campus.